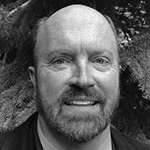 Rod Perry is a subject matter expert on the topic of facilitating improved cellular performance in airports, large buildings, venues, campuses and arenas. Rod has extensive experience in both the technical design side of these projects as well as the business model and funding side. For ten years, Rod worked for LGC Wireless, a leading manufacturer of in-building Distributed Antenna Systems (iDAS). Rod was the North American Sales Manager, Managing Director of Europe, Middle-East and Africa and Vice-President of Global Business Development. For three years, Rod worked for NextG Networks and Crown Castle International. Both of these companies operate as “Neutral Host Providers” or third-party entities, where the role is to be an intermediary between cellular operators and property owners and managers. At NextG Rod ran the Campus business unit and after the acquisition of NextG by Crown Castle, he managed the Rocky Mountain Region for Crown Castle’s venues business. Los Angeles Airport (LAX), Dubai Airport (DXB), New York Area Airports (JFK, EWR, LGA), Denver International Airport (DIA), Washington, DC Airports (IAD, DCA), Nelson Mandela Square (Johannesburg), 2002 Winter Olympics (Indoor venues and stadium), Dubai Marina Residential Towers. United Arab Emirates, MGM Grand Hotel, Las Vegas, LA Coliseum, Los Angeles, USC Campus, Los Angeles, University of Alabama, Gaylord Family Stadium, University of Oklahoma, Oklahoma State Campus, Stadium and Arena, San Diego State University, University of Wisconsin-Madison Campus and Camp Randall Stadium. He has also consulted with multiple industry manufacturers, a national tower company and several hedge fund and private equity management companies. Rod is the author of Cellular Savvy, the essential guide to improving cellular performance in your venue, campus or arena, a book designed to help IT, real estate and legal professionals understand both the technical and financial components of cellular infrastructure projects, and how to get the best possible outcome for their property.